We know how hard it can be to stick to your training program. Even though all our training programs are designed to gradually increase the effort needed, long runs are always tough and exhausting. And not only physically. Long-distance running can be as much a mental challenge as it is a physical test of strength and fitness. A very effective mental running trick for longer training runs is splitting the distance into smaller mileage, so you don’t feel overwhelmed by thinking about how far it is to the finish. For example, you might mentally break a 12 mile run into three 4-mile runs, a much more do-able and not so overwhelming distance. One easy way to do it is by planning specific destinations into your route: 4 miles to the park, other 4 miles to the church and the last 4 will be logged on the route back to your house or starting point. Picking a mantra, such as “You’re stronger than you think you are.” or “One step at a time” can also be your inner motivation when you need it most and will definitely help you stay focused and centered. 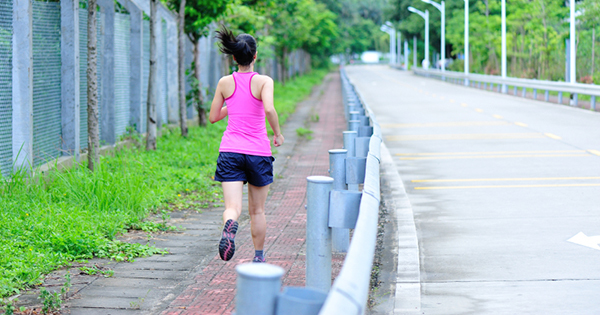 Most runners prefer to do their long runs by themselves. 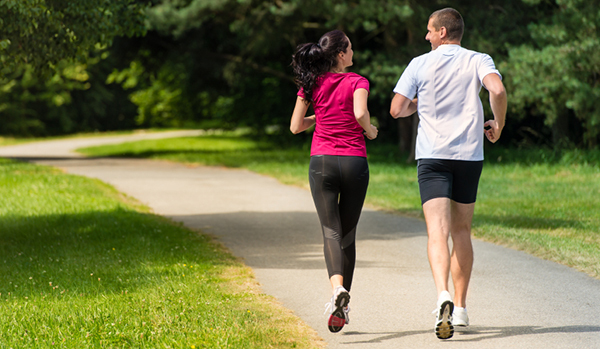 But doing it with a running buddy might be the solution for your boredom and lack of enthusiasm during longer distances. Having a buddy to run with can distract you from the mileage and give you the motivation you need to get through the hardest miles. Counting cars: pick out a specific car color to look for during your run. Then count how many cars you see with that specific color. You can also do this with specific articles of clothing, houses, types of trees, etc. Go fishing: if you’re running on a track with other runners, focus on someone in front of you who you think you can catch. Then picture yourself reeling that person in, as you keep getting closer and closer to him. When you pass that runner, pick out another person and continue the fishing game. Whenever you’re having a tough time with your long run, picture yourself on race day, running the course and crossing the finish line. During a race, you have to be mentally strong and do whatever you can to keep going. You don’t want to disappoint yourself or all those spectators watching you. So, toughen up and push yourself, while you imagine how it will feel to see your loved ones at the finish line cheering for you. Do you have your own tricks to tackle your long run? Share them in the comments below! Many of you probably have “running a marathon” on your bucket lists. But here comes the tough question: Which one should you run? With more than 1,100 marathons taking place in the U.S. each year, we understand that choosing a race can be as hard as finding a needle in a haystack. If you are looking for a unique experience or a fabulous destination, we’ve done the groundwork for you and identified 8 top races that happen from January to December. 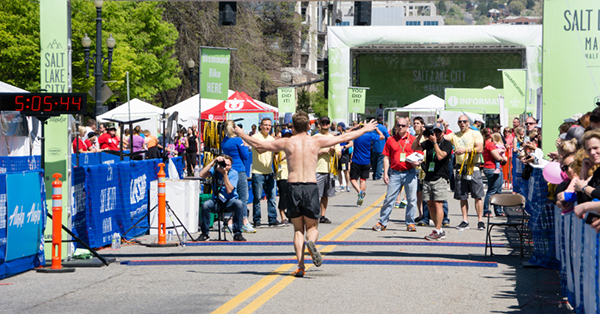 While a few of the most popular races are already sold out this year, it’s never too early to mark your calendar and make your way to a starting line in 2016! For extra help, download one of Hal Higdon’s marathon training plans! When: The 2016 race will happen on the 14th of February 14. The race is typically in March. Why you should race it: the City of Angels’ signature marathon debuted in 1986, but it has seen a resurgence in popularity in the most recent years. The point-to-point course starts outside Dodger Stadium and wind its way down to a finish on the Santa Monica coastline, taking runners through West Hollywood, Beverly Hills, Santa Monica and more. When: Patriots’ Day, the third Monday in April. The 2016 race will happen on April 18th. Why you should race it: Boston Marathon is the ultimate “bucket list” race for many runners around the world. Not only this is the world’s oldest annual marathon – the Boston Marathon was first run in 1897 – it is also one of the toughest to get into. 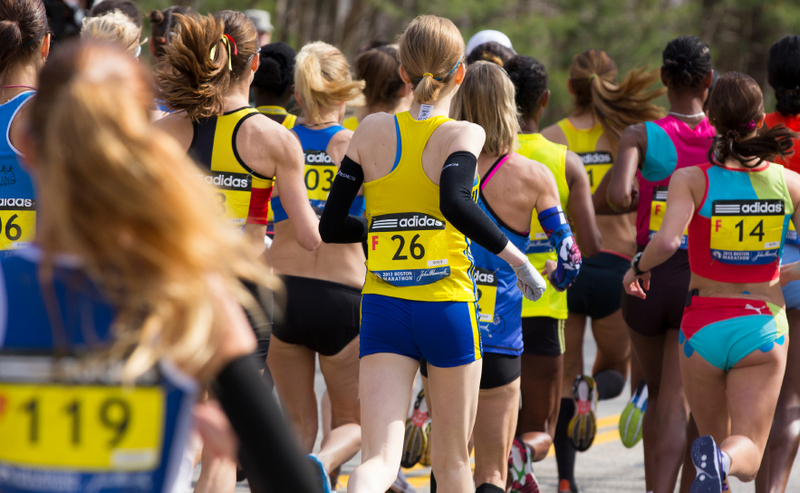 But once you’ve secured a spot, you’ll conquer the historic course and challenging Heartbreak Hill in front of crowds of more than 500,000 spectators. When: Last Sunday in April. The 2016 race will take place on the 24th of April. Why you should race it: Big Sur International Marathon is quite possibly the most scenic marathon in the U.S. Now in its 30th year, this point-to-point Marathon runs along the famous Pacific Coast Highway and seven California State Parks. 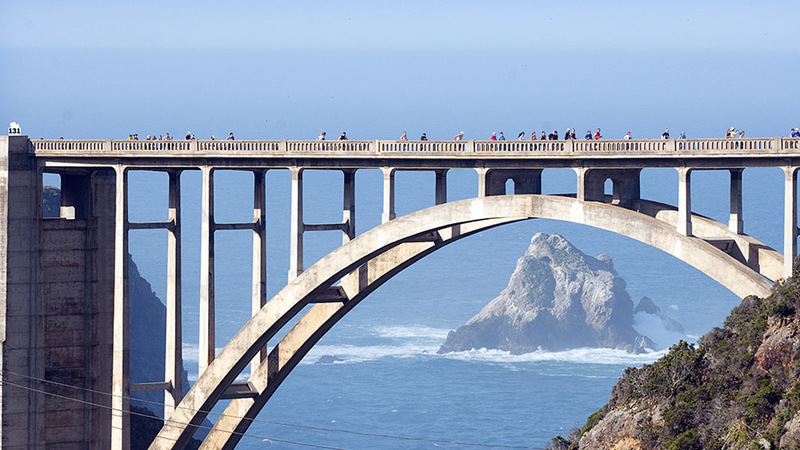 The signature landmark of the race is at the halfway point, when runners cross the iconic Bixby Bridge. When: First Sunday in October. The 2015 race will take place on the 4th of October. 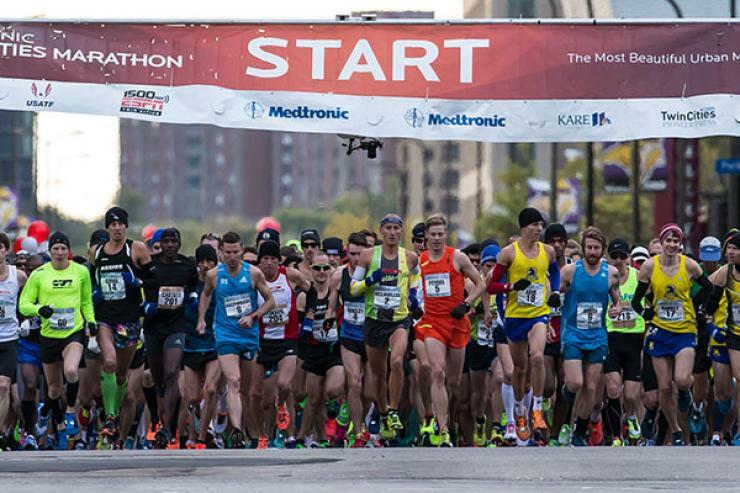 Why you should race it: The Twin Cities Marathon is a great way to tour two cities for the price of one! The race starts in downtown Minneapolis, passes four of the state’s many lakes, then crosses the Mississippi River into St. Paul, where you’ll finish at the State Capitol Grounds. 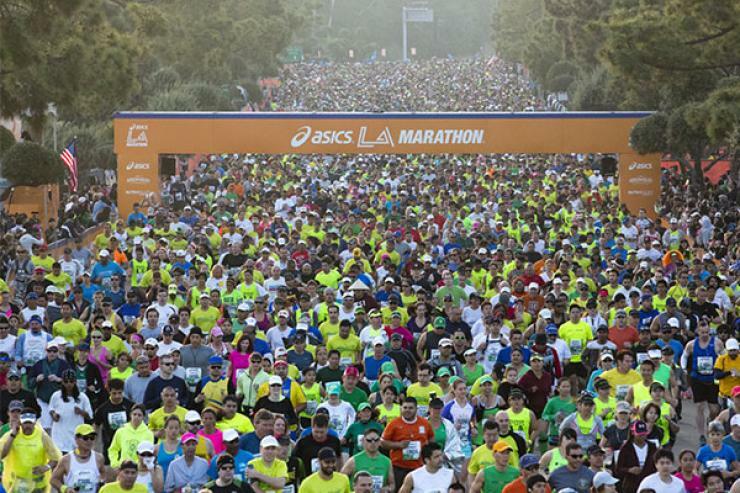 No wonder it is dubbed “The Most Beautiful Urban Marathon in America”. When: Second Sunday in October. The 2015 race will take place on the 11th of October. 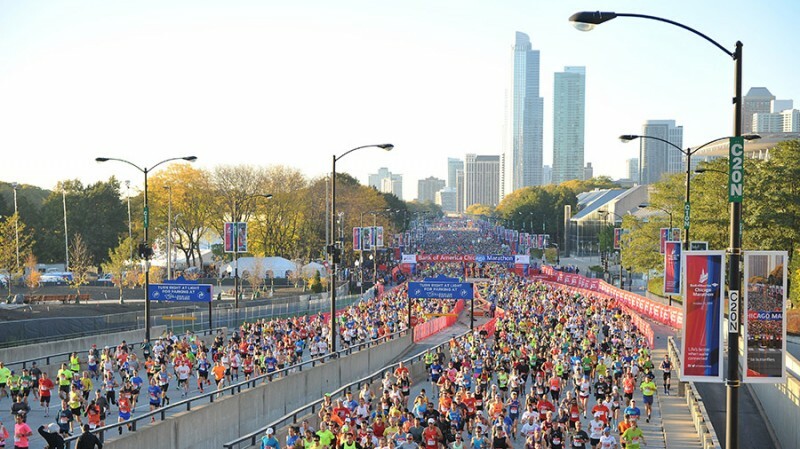 Why you should race it: the Chicago Marathon is known for its flat-and-fast course that starts and finishes in Grant Park, winding through downtown Chicago and 29 of its neighborhoods. Along the 26.2 course, there’s not a single spot without spectators, as more than 1 million of them line Chicago’s streets to encourage runners. When: Fourth Sunday in October. The 2015 race takes place on Oct. 25. 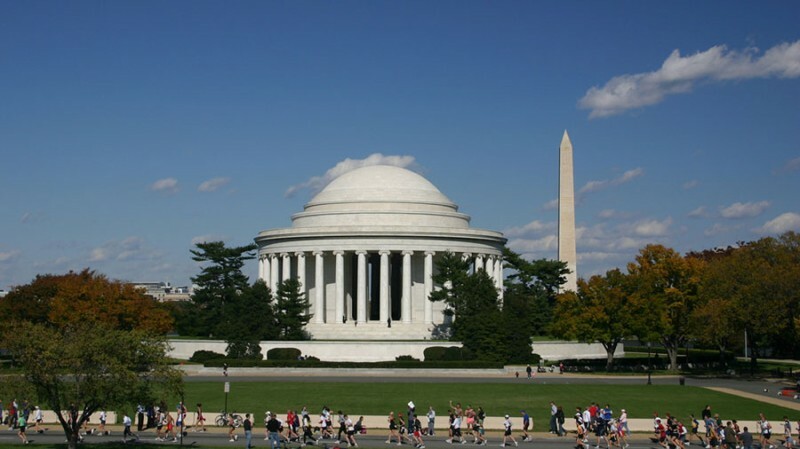 Why you should race it: Also known as the “Marathon of the Monuments”, this popular race starts at Potomac River in Arlington, Va. and offers a comprehensive tour of Washington, D.C.’s most famous landmarks, including Georgetown, the Washington Monument, and the Jefferson Memorial before heading back to Virginia. The MCM has also adopted a lottery system in recent years, due to its increasing popularity. When: First Sunday in November. The 2015 race will take place on November 1st. 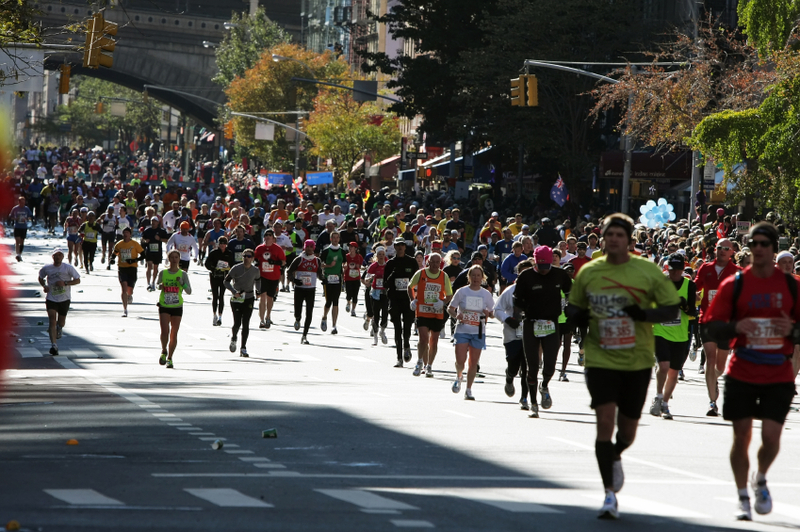 Why you should race it: the NYC Marathon is the largest in the world and runners seem to adore the route! The course provides a tour of all five boroughs of New York City, from Staten Island to Manhattan’s Central Park, where you can expect more than a million spectators to cheer you through the finish. To register you’ll have to sign up for a lottery, but the odds might not be in your favour: in 2015, there was only room for 18 percent of the applicants. When: The 2015 race will take place on Nov. 15. 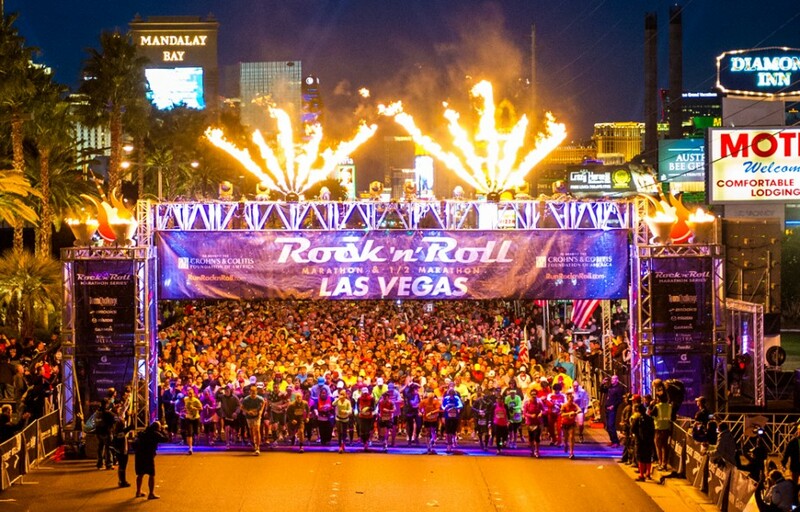 Why you should race it: even though the concept of Rock’n’Roll marathons was created in San Diego, Rock ‘n’ Roll Las Vegas is a runner’s party, where you’ll find a vibrant, enthusiast atmosphere unlike any race in the country. Plus, this is the only opportunity to run the famous Las Vegas Strip at night! 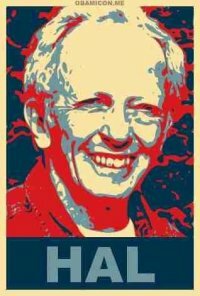 Hal Higdon has been an inspiration to countless runners and is the architect of Bluefin’s full and half-marathon programs. This week Bob Anderson, founder of Runner’s World, published an interview with Hal on his blog UjENA FIT Club as part of their ongoing series featuring 100 iconic athletes. At Bluefin we credit Hal with giving runners of all ability levels the motivation, inspiration, and training tools they need to be successful. We’re honored to have his experience and training plans (not to mention voice!) as part of our running apps. This great in-depth interview is well worth a look. Let us know what you think! Editor’s Note: Sometimes, you guys really take it all the way. Zach Sharp started off using his phone to guide him through training for his first 5K and ended up working his way through one Bluefin app after another, upping his distance from 5K to 10K to a half marathon to the full 26.2. We’re blown away and hope his story can be an inspiration to everyone who reads this. Zach’s story is below.